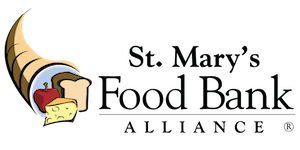 St. Mary's Food Bank Alliance is seeking a School Food Drive Campaign Intern for the Fall of 2019. This position will work closely with the Food Drives Coordinator and other members of the Development and Marketing team to ensure success of the Fall of 2019 School Food Drive Campaign. This position will start in August and end in December. Pay is $11/hr OR can be used as class credit for college or university. Contact past participants and potential new sites via phone, email, and mail to encourage participation in the School Food Drive Campaign. Visit schools to make presentations about St. Mary's Food Bank and the 2019 School Food Drive Campaign. Act as a single-point-of-contact for all school sites. Plan and execute the School Food Drive Campaign. Schedule is flexible but must be able to work within the hours of 8-5pm, M-F, 20-35 hours per week. Knowledge of Microsoft Office products: Outlook, Word, Excel, PowerPoint. Excellent written, verbal and public speaking skills. The ability to oversee events taking place throughout the Fall of 2019.